My enamelling short course at NMIT starts up again soon, so if you're thinking you'd like to learn more about glass on metal, enrolments are now open! Classes are from 6-9pm on Monday nights, starting the first week of February. For more informaiton, visit the NMIT jewellery website or call NMIT jewellery department on 9269 8980. You can enrol online or by calling NMIT short courses on 9269 8615. Enamelling is a versatile, exciting way to add colour to metal. This program will enable participants to develop skills relating to a range of jewellery enamelling techniques. This class is open to all skill levels. No prior jewellery or enamelling experience is needed; however basic jewellery skills such as sawing, filing and soldering will be valuable. Students with more jewellery experience will have the opportunity to incorporate more advanced metalworking skills into their enamelled designs. Learn to apply enamel, wet packing/sifting, counter enamelling, firing times & temperatures. Create a pendant or brooch using the cloisonné technique of separating different colours of enamel with fine silver wires attached to a sheet of metal. Create an enamelled pair of earrings with textured metal. Create a pendant using the sgraffito technique, by scratching into a layer of enamel to reveal another colour below. Create enamelled buttons using a range of stencilling and stamping techniques. Students may use found stencils or stamps, or make their own. Create a ring with a design illustrated in graphite on enamel. Create a miniature image on metal using watercolour enamels. Enamelled pieces can be turned into a panel that can be framed or a miniature book. Create a pair of earrings or a pendant using the champlevé technique, enamelling into recesses created in sheet metal. Explore enamelling on a three-dimensional object using press-forming. This technique can be combined with previously learned techniques for more advanced students. Use enamel to fill recesses cut into metal without a backing sheet, to create earrings with translucent colours. Ways of setting and framing enamelled pieces will also be discussed. 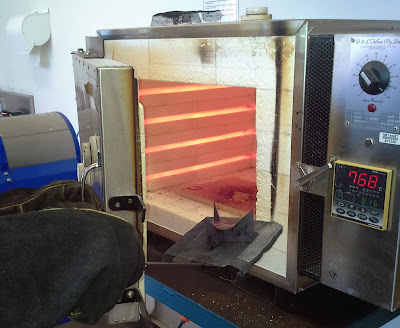 Safely use the jewellery kiln to fire enamel onto metal surfaces. Understand the correct techniques in handling enamelling materials. Apply the O.H.&S. requirements for the use of the facilities and the enamelling materials. Apply a range of enamelling techniques to metal.